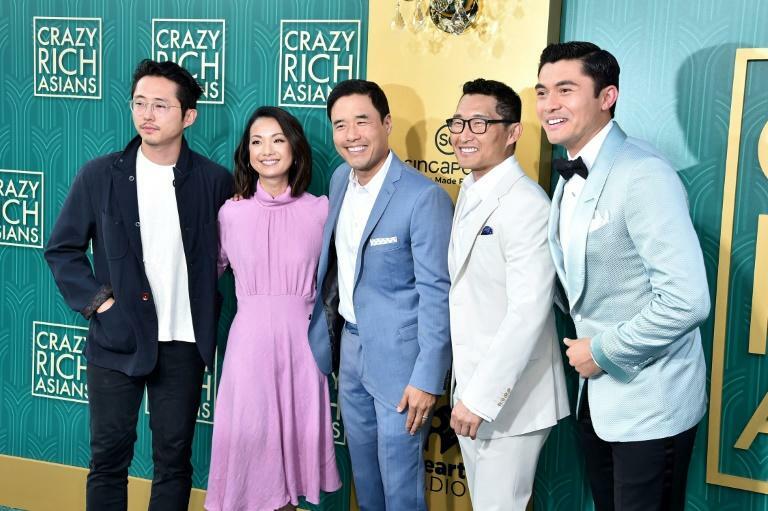 Rom-com "Crazy Rich Asians" proved its staying power in North America, topping the box office for the second weekend running, according to industry data released on Monday. The Warner Brothers adaptation of Kevin Kwan's best-selling novel of the same name took $24.8 million, a tiny, almost unheard-of, six percent drop on its $26.5 million debut, box office tracker Exhibitor Relations said. It is the first major studio release with a mostly Asian cast since "The Joy Luck Club" in 1993. Shark attack thriller "The Meg" clung on to the runner-up spot for another week, taking $12.8 million -- a significant tumble from last week's earnings of $21.2 million. In at third was newly-released mystery "The Happytime Murders," which took $9.5 million. On its heels with takings of $8.1 million was Tom Cruise's action blockbuster "Mission: Impossible - Fallout," which took fourth place in its fifth weekend in theaters. Fifth went to STX's "Mile 22," which came in at came at $6.4 million after delivering a lackluster $13.7 million in its debut weekend.